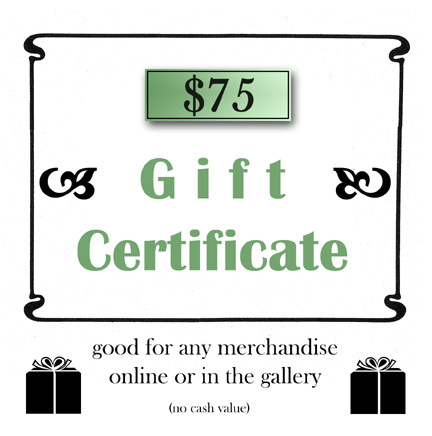 Give the gift of fine art with a gift certificate from Artifacts Gallery. The lucky recipient of this $75 gift certificate can choose from our vast selection of limited edition art, sculpture and artist books on our website. If they visit the gallery in Cambria to redeem their certificate they can also choose from our wonderful collection of unique jewelry and local original artwork.